​This is not going to go down well for Tampa Bay Lightning star ​Nikita Kucherov. At the end of a smackdown in Game 2 of the Lightning's ​Stanley Cup Playoffs first-round matchup with the Columbus Blue Jackets, a frustrated Kucherov took his anger out on innocent Blue Jackets defender Markus Nutivaara. 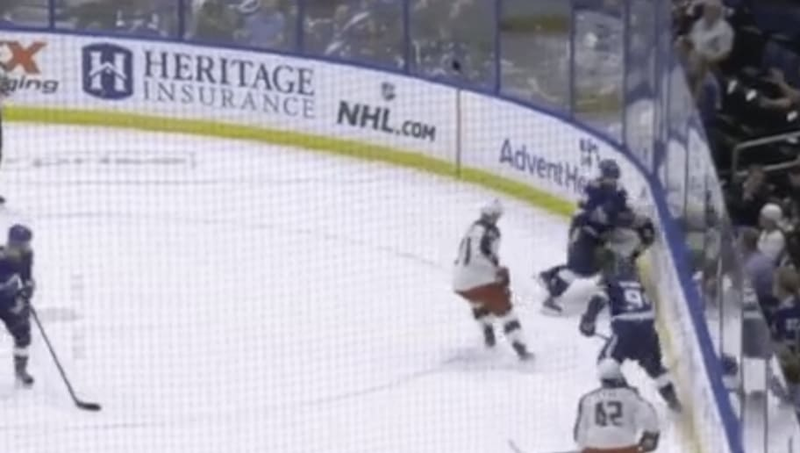 Watch as Kucherov slams the defenseless player into the boards out of pure rage. That's more than likely going to result in a suspension for Kucherov. He was issued a major for game misconduct, as well as a two-minute minor for tripping and a five-minute major for boarding. ​​It's one thing to get frustrated during a rough loss, and this was a ROUGH loss, but to do this, on one of the game's biggest stages, is simply disgusting and has no place in the sport. Hopefully the NHL punishes Kucherov accordingly, because this was simply out of line.